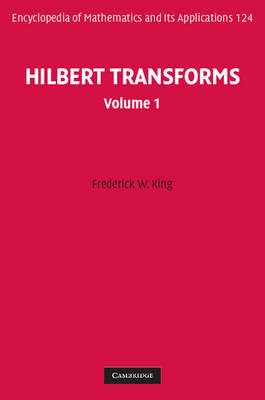 The Hilbert transform has many uses, including solving problems in aerodynamics, condensed matter physics, optics, fluids, and engineering. Written in a style that will suit a wide audience (including the physical sciences), this book will become the reference of choice on the topic, whatever the subject background of the reader. It explains all the common Hilbert transforms, mathematical techniques for evaluating them, and has detailed discussions of their application. Especially useful for researchers are the tabulation of analytically evaluated Hilbert transforms, and an atlas that immediately illustrates how the Hilbert transform alters a function. A collection of exercises helps the reader to test their understanding of the material in each chapter. The bibliography is a wide-ranging collection of references both to the classical mathematical papers, and to a diverse array of applications.